So many peoples including my lectures had tld tht exams would be r8 aftr our engineering exams n aug 3rd is a long way though!? Yes, the PGCET exam date is correct and will be held on 3rd Augest 2018 and for more important dates are here. Can I know the exam date for PGCET 2018? when will be the admit cards given? The issue of admit card will be from 1st August 2018 for PGCET exam. You can download your admit card on the official website. When will the Karnataka PGCET online registration begin? The Karnataka PGECT online registration process will begin on May 24th, 2017. What is the last date to submit the Karnataka PGCET application form? The last date to submit the Karnataka PGCET application form is May 25th, 2017. What are the PGCET 2017 Important Dates? Karnataka PGCET Registration:The online registration forms for Karnataka PGCET will be available on May 24th, 2017. Karnataka PGCET Application fee: The Initiation for online Karnataka PGCET application fee submission is on May 25th, 2017. 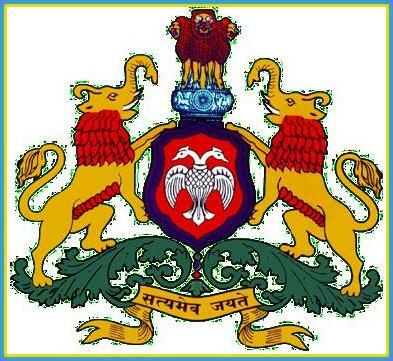 Karnataka PGCET Submission of application form: The Karnataka PGCET online application forms can be submitted by June 12th, 2017. Karnataka PGCET Payment deadline: The payment deadline for the Karnataka PGCET exam is June 10th, 2017. Karnataka PGCET Admit Card download: The Karnataka PGCET admit card can be downloaded on June 22nd, 2017. Karnataka PGCET Exam date: The Karnataka PGCET exam will be on July 2nd, 2017. Karnataka PGCET Result date: The Karnataka PGCET result will be announced on July 17th, 2017. Karnataka PGCET Counselling: The Karnataka PGCET counselling will commence on August 2nd, 2017. When will the PGCET application process begin? The PGCET application process will begin on May 24th, 2017 and it will end on June 12th, 2017. By when should the fee payment be made for the PGCET 2017 exam? The PGCET exam fee payment should be made by June 10th 2017. When will the PGCET counselling process begin? The PGCET counselling process will commence on August 2nd, 2017. When can I download the PGCET admit card? The PGCET admit card can be downloaded on the 22nd of June 2017.